For a tree that produces an abundance of tasty, early fruit and that will resist some diseases while being hardy even in the coldest areas of the continental 48 states, consider cultivating an Early Gold pear in your backyard orchard. This is a great tree for delicious fruit, spring flowers, and fall color. If you’re looking for a tasty pear, Early Gold is tough to beat. 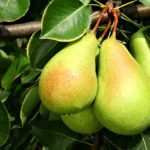 There are other reasons to grow this pear tree, like shade and ornamental qualities, but the best reason is to enjoy the pears. They are light green to gold in color and have a crisp, sweet, white flesh. You can enjoy Early Gold pears fresh off the tree, but they also hold up well in desserts, baked goods, and when canned. The Early Gold pear tree developed from a seedling of the Ure variety of pear. It was found to have significant improvements over its ancestor, including better hardiness. You can grow this tree up to zone 2. It also resists chlorosis, is more vigorous, and is ready to harvest ten days earlier than its predecessor. You can expect to pick ripe Early Gold pears in early fall. Start by finding a good location for your pear tree and be sure the soil will drain well. These trees cannot tolerate standing water and will need full sun. Early Gold grows up to 25 feet (7.6 m.) tall and about 20 feet (6 m.) in spread, so make sure it has room to grow without getting crowded. Although it doesn’t like standing water, your pear tree will need to be watered regular. 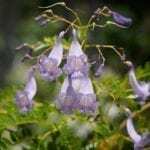 It does prefer moist soil, and this is especially important in the first growing season. Also important that first season is pruning. Trim your young tree with a central leader and a few offshoots to ensure that the branch structure remains open. This allows for even distribution of sunlight, good airflow, and better fruit ripening. Apply a fertilizer each year just before spring growth appears, and keep pruning at least minimally year after year to maintain shape and good health of the tree. You can expect to be able to harvest Early Gold pears early in the fall, often in the first weeks of September. In addition to pruning to maintain the tree, a pear can be a little messy. If you can’t keep up with harvesting fruit, they will drop and make a sticky mess on the ground that requires cleanup. Fortunately, these pears can well, so you can pick and preserve them for later. 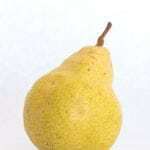 Read more articles about Pear Trees.